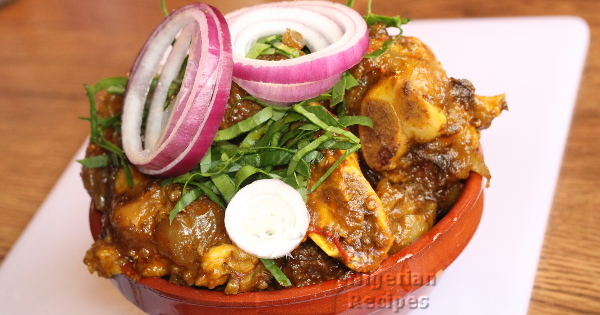 Nigerian Restaurant Specials are foods and snacks that are mainly eaten in exclusive Nigerian restaurants a.k.a. Joints. These food include: Pepper Soup, Nkwobi, Isi Ewu etc. The following recipes will teach you how to prepare these special meals in your own home. Whether you have it on its own with a chilled drink or with Agidi/Eko, Nigerian Assorted Meat Pepper Soup never disappoints. 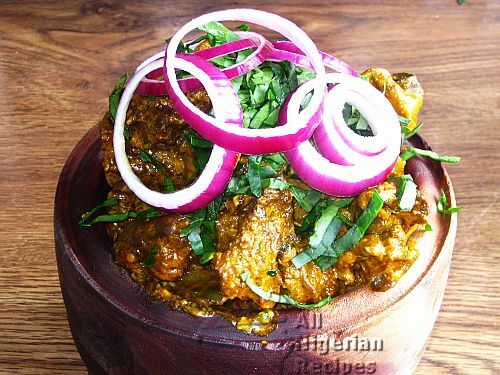 Ugba is the Nigerian restaurant special that will help you repossess your possession! 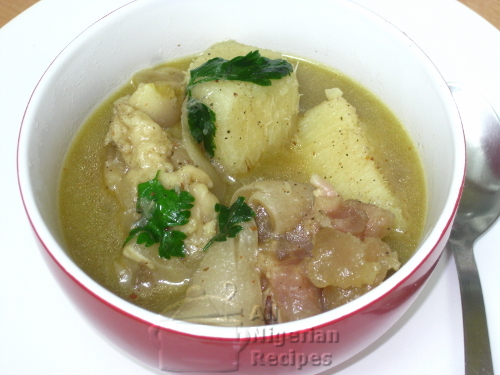 If you learn how to make this, it will help bring back your Igbo other half from Mama Ngozi's restaurant. 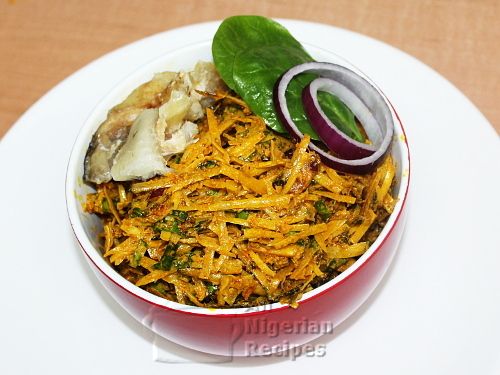 See how I make the full option abacha that contains all the possible ingredients you will find in Abacha. Here's one for the cold and rainy day. Wakes up your taste buds! 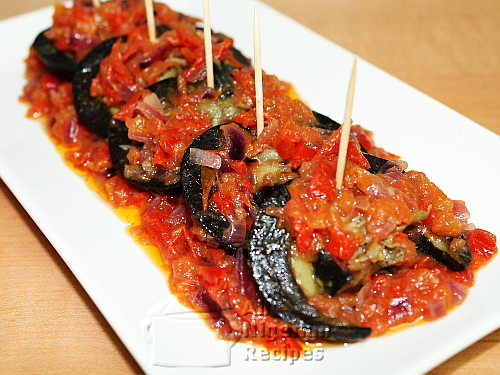 Peppered Snail is a common feature in Nigerian restaurants and in the Small Chops section at parties. It's too hot to handle! 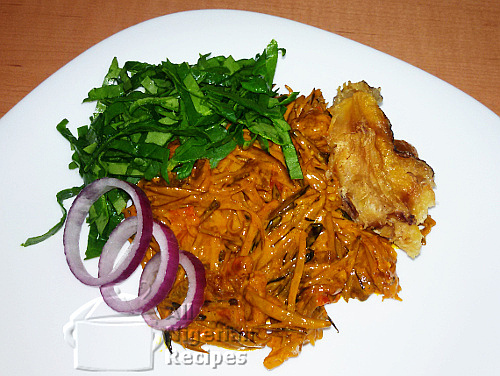 You don't have to wait to be taken out to a special restaurant or travel to Nigeria to enjoy your next Nkwobi. 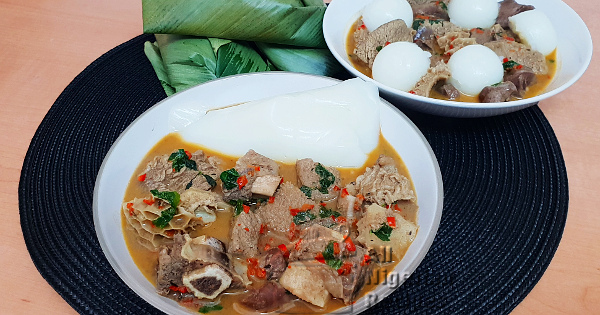 Goat meat gives the Nigerian Pepper Soup a unique taste. 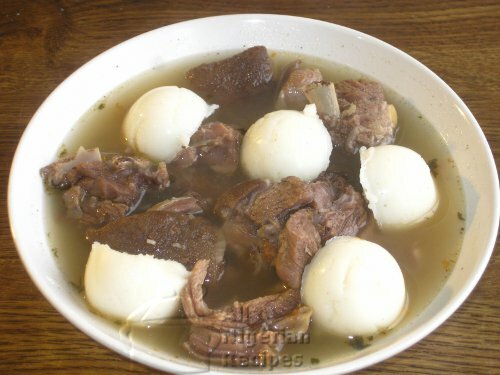 Try it and compare to Assorted Beef Pepper Soup and Chicken Pepper Soup.